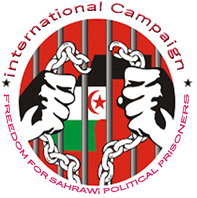 EL-Aaiun (Occupied Territories), Nov. 7, 2016 (SPS) - The Moroccan forces suppressed a peaceful demonstration organized by the Sahrawi people in the city of El-Aaiun to claim their rights to a decent life and denounces the illegal exploitation by Morocco of the Sahrawi natural resources. “The demonstrations have confirmed the fragile and difficult situation endured by the Sahrawi people under the Moroccan occupation particularly with the increasing unemployment level among young people despite the richness of the territory whose resources are systematically plundered by the Moroccan occupier without taking into consideration the interests of the region and its inhabitants,” said the source. Morocco is facing a wave of criticism at the national, African and international levels following the social discontent after the “horrible” death of Mouhcine Fikri.